The NationalGeographic Channel is one of the most popular education channels in the world. The respect that this channel has gathered is worldwide with so many connections around the world. You might have grown up watching this channel and have been amazed by their findings and features that really helped people become aware of the world where they live. It is known commercially as Nat Geo and owned by the National Geographic Society and Fox Cable Networks. These are divisions of 21st Century Fox. If you are into facts and other interesting discoveries, you can rely on National Geographic Channel because it features non-fiction documentaries just like the History Channel and Discovery Channel. The topics range from a variety of culture, science, history, nature and other genre. No matter what field you are into, you can rely on what Nat Geo has to offer. 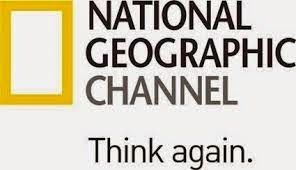 As a proof of this channel’s popularity, as of August 2013, 73.95% or an approximate number of 84, 446, 000 American households are subscribed to National Geographic Channel. This is a proof that this channel is one of the most influential channels in the American nation. National Geographic is not just limited to only one channel. The fact is it has several channels such as the Nat Geo Junior, Nat Geo Music, Nat Geo Wild, National Geographic Channel HD and Nat Geo Mundo. One of the most popular shows in Nat Geo is aired in 2013 called Are You Tougher Than a Boyscout? This is where Nat Geo became controversial with its connection with the Boy Scouts of America. Nat Geo went through a lot of tough times but it is still consistent until now in its dedication to inform a lot of people and excite them as well with the wonders of nature and discoveries. Nowadays, the shows that you can look forward to in National Geographic Channel are Abandoned, Border Wars, Breakout, Explorer, Highway Thru Hell, Inside Combat Rescue and many more. Nat Geo has so many surprises to its viewers and it is available in several continents around the world though there are discrepancies with regards to the time of airing shows.